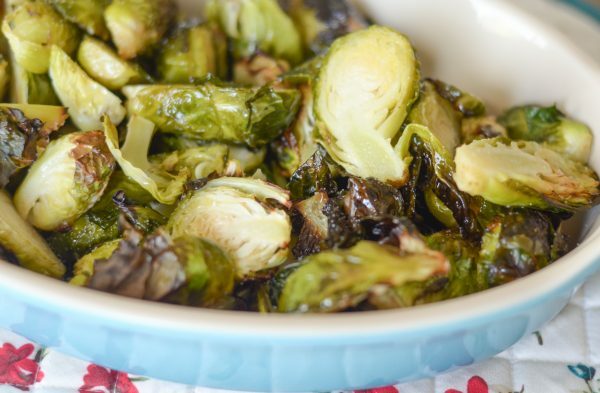 Get ready to enjoy a great side dish with these Air Fryer Brussels Sprouts! 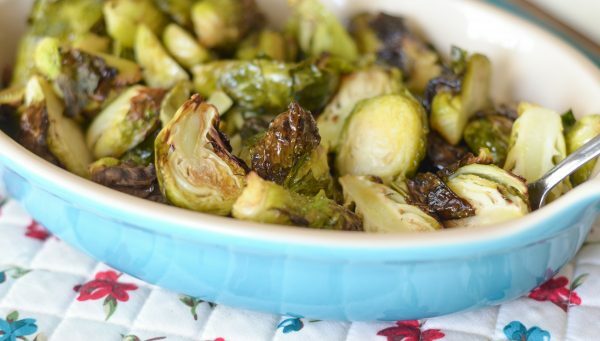 I’ll admit that Brussels Sprouts are a love it or hate it item. So do you love it or hate it? I happen to LOVE them, BUT only if they are cooked in a way that makes them super tasty. I want that butter and garlic flavor but without the calories. Can I have both, please? Well, these Air Fryer Brussels Sprouts certainly get close. I decided to whip these up as a side dish to some tasty grilled steaks recently. This past weekend was the absolute perfect weekend to make steaks too. It was beautiful. Of course, after 5 weeks of nasty weather on the weekends, I knew it would be. Why? Because for the past 5 weeks, I have had to do photo shoots outdoors on the weekends for upcoming post and guess what? Here in Oklahoma, winter decided to come but only on the weekends. I knew though that since I had nothing work wise planned this weekend it would be beautiful. It sure was! That’s a good thing though because we actually had to have our retaining wall rebuilt in our backyard and we definitely needed good weather for that. Have you ever had to have one built? 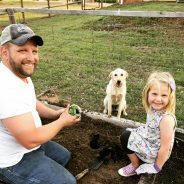 I will say that right along with redoing our septic tank it was basically the bottom of my list of things I wanted to do and yet just like with the septic it happens to be super expensive too. Oh the joys of home ownership. My husband assures me though that if I don’t want to wake up at the bottom of the hill, then the wall must be rebuilt. I mean it wouldn’t be so bad would it? Okay, I know it would be…so the wall was rebuilt. I’ll give it to my husband too because sometimes it’s super beneficial that he’s a truck driver in the construction business. He delivers heavy machinery to many construction companies, so he had all sorts of connections and we were able to save several thousands on it. He also did a lot of the work too, so that helped. That’s one of the things I love about him, he’s so handy. He can literally just look at something and know exactly how to fix it. It blows my mind, it just looks like a mess of parts to me and five minutes later it’s all fixed. He works on our cars, appliances, plumbing, anything at all…he can figure it out. He’s usually done while I’m still trying to google it. HA! 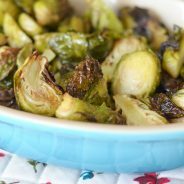 How do you make Air Fryer Brussels Sprouts? Anyway, so with that being done this weekend steaks and air fryer Brussels Sprouts were on the menu! These Brussels Sprouts just need a touch of garlic salt and a nice coating of olive oil spray. Once you have them coated, simply air fry them on 355 degrees for 10 minutes or until your desired level of crispy. I like ours to be slightly dark around the edges and give a nice crunch to it too. 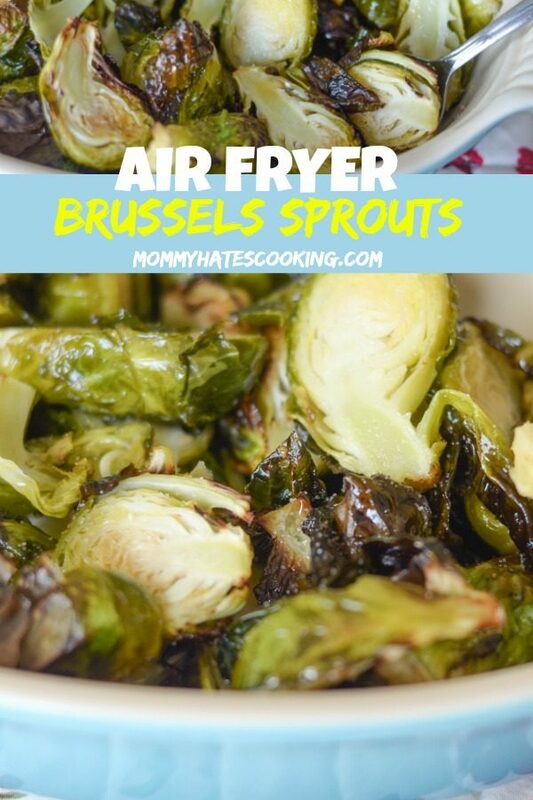 Time to make some Air Fryer Brussels Sprouts! 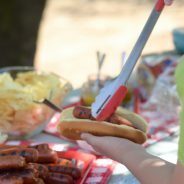 Check out even more Air Fryer Recipes! 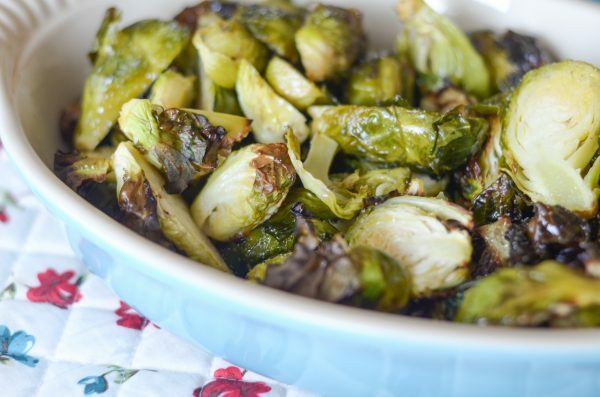 Make a quick and easy side dish in the air fryer with these Brussels Sprouts! Line the air fryer with foil. 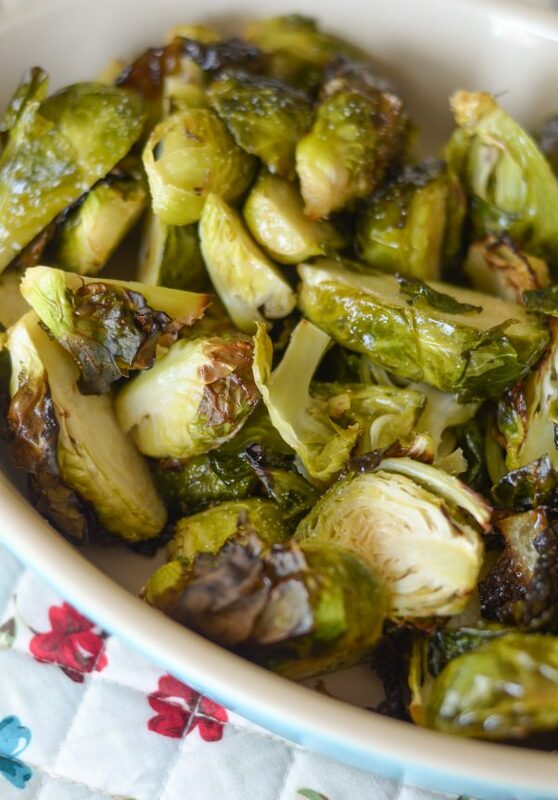 Place the Brussels Sprouts in the air fryer. Add salt and then coat with a nice coating of olive oil spray. Cook on 355* for 5 minutes, turn the Brussels Sprouts. Continue cooking for an additional 5 minutes or until your desired level of crispy.